Jen Jones is a computer whiz with a demanding job in the Silicon Valley, perfect body and a hell lot of secrets. To start with, she is in love with her current Boss, Dave. She is being blackmailed and has been part of kidnapping plan and has lied to the police while withholding evidence. Whew! That’s quite a list! But Jen feels that she had just made a few bad choices in her life. Dave on the other hand is obsessed about finding his little girl who had been kidnapped from his home a few years back. He blames his late wife’s family for it but he never gives up hope of finding the child. Little does he know that the person that he blames for it all is… Oh no! 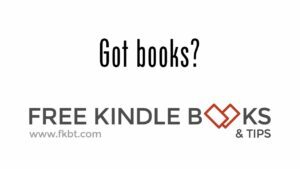 I am not saying anymore – you have to read the book to find out. Jen Jones is a character that I had a love/hate relationship with throughout the book. There’s just something about her that makes me feel for her when I should actually not like her at all for the choices that she had made. Dave on the other hand came across as a strong and steadfast character to me. I really liked him. Their relationship is just like what I feel for Jen – Love/Hate and BIG trust issues. But one cannot deny the chemistry between them. The plot is the USP of this book. The twists and turns that it offers are simply remarkable. As a mystery/thriller fan I am used to playing the detective game myself as the plot progresses. And Ms. Ayala almost had me there – and that’s saying something! With every twist I was forced to reevaluate and suspect a different character and by the three quarter of the book I had suspected each character atleast once. The plot and the characters are brought together and woven in the author’s own style of storytelling, where the language and narrative style compliments the other aspects of writing. I think that while writing Jen’s character, Rachelle Ayala must have drawn from her own experience in the IT industry and it lent the air of authenticity to Jen. From romance with Biblical aspects to it to romance with a liberal amount on mystery with it, Rachelle Ayala has more than proved herself with variations in her writing. She is certainly an author to watch out for. Overall, ‘Broken Build’ was an incredible experience and I would recommend it to all romance, mystery and thriller lovers. 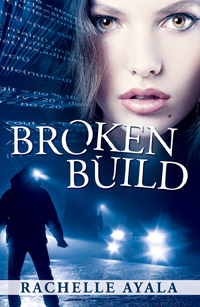 Broken Build is on sale for 99c at Amazon.